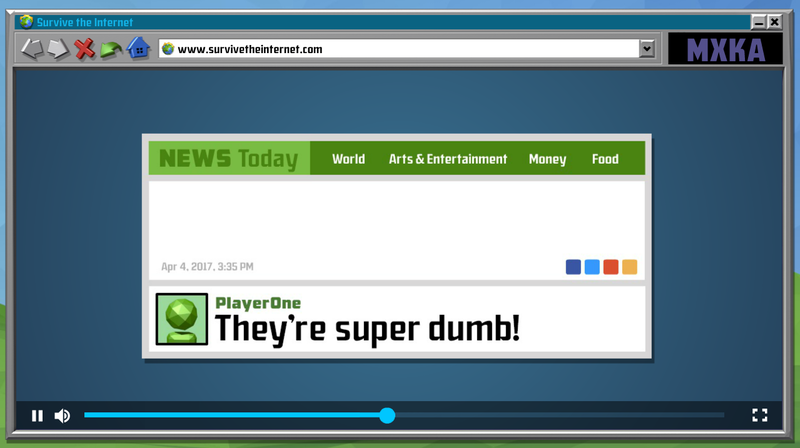 All right, I’ll take the bait: What is Survive the Internet? 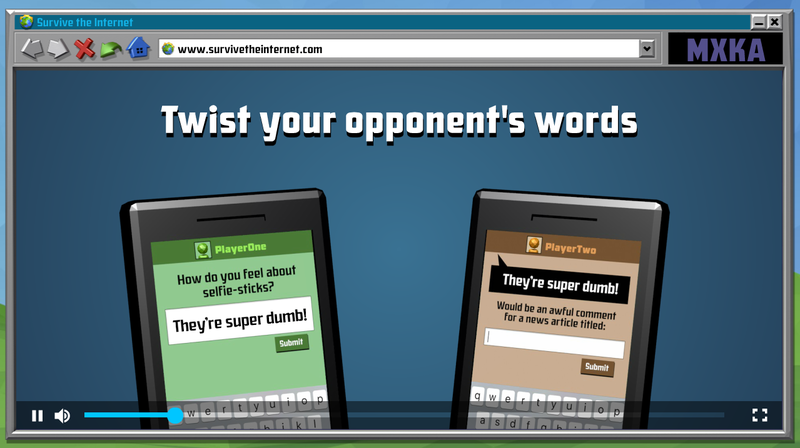 It’s a user-generated comedy game where you twist your friends’ opinions in a myriad of hilarious ways! As the name suggests, all of this action takes place in our version of the internet. But isn’t the internet just a fad? Will people understand this cyber world you’ve created? After spending hundreds of thousands of dollars in research, we’ve discovered that most people are familiar with the internet, so we don’t expect there to be much of a learning curve. 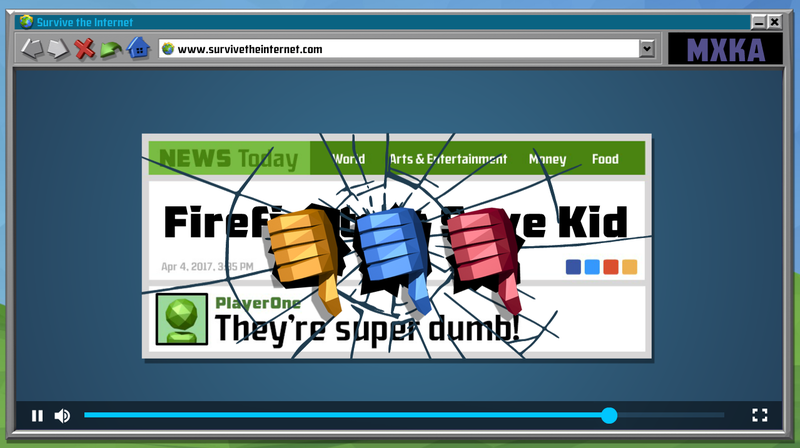 As fun as it is to read a long post about how a new game works, it’s even more enjoyable to play/watch it firsthand, so check out our Twitch or YouTube stream this Thursday (6/29 @ 6 PM CT) and watch us debut our new internet game, Survive the Internet… on the internet! Can’t wait to see how this game turns out! 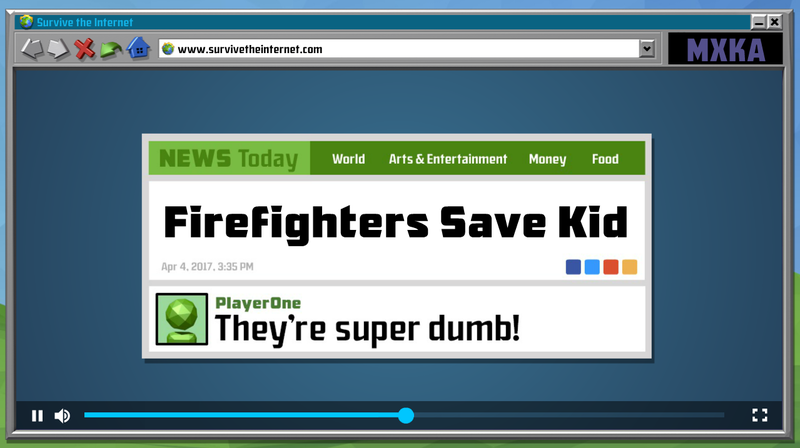 I hope a new game includes scenes with subtitles and each player puts in what they think is said in the clip. Fun Games, i can’t wait to view the third one. I will definitely play this game all night! SO HILARIOUS!!!!!!! This is too funny. I can’t wait to play this. The design is also really cool! This is really cool stuff. I want to play these games right now! Thanks for sharing with us. Really confusing game. You don’t know clearly if you voting for the one you want to win or to get eliminated. Needs a better tutorial for sure.